Image from Back Alley Bowling’s website. SACRAMENTO – The Florin Japanese American Citizens League and the Sacramento Valley chapter of the Council on American-Islamic Relations on June 17 requested an apology for the allegedly bias-motivated treatment of a group of Muslims and Japanese Americans traveling to visit the site of a World War II internment camp. Members of the group of Asian Americans and American Muslims were reportedly denied service by Back Alley Bowling in Bishop, Inyo County on the night of April 25. The group, which was in the area to attend the Manzanar Pilgrimage, was denied service despite the fact that the “open” sign was lit and several lanes remained open. An employee reportedly claimed there were “technical issues” preventing the group from bowling. When asked if the group could come again the next day, the employee claimed that she did not know if or when the bowling alley would open again. Those denied service at the bowling alley believe their mistreatment resulted from racial, ethnic and religious bias. 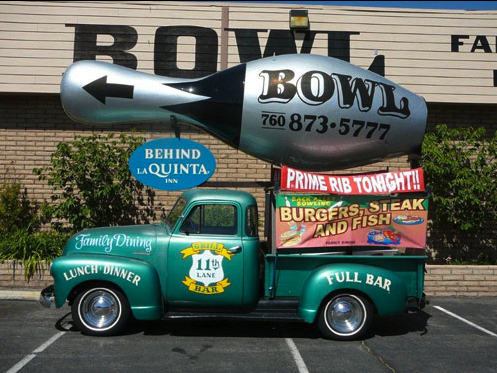 On the advice of their attorney, representatives of the bowling alley recently backed out of a meeting scheduled at a neutral location to address the concerns of the pilgrimage group. Ahmed said Yelp reviews of the bowling alley reveal a pattern of complaints about discrimination against people of color. In a statement, Florin JACL said: “The Florin JACL would like an apology from Back Alley Bowling for denying us service, a public commitment by the bowling alley to anti-discrimination policies, and a public welcome of diverse people. “After our investigation of first-hand accounts and a trail of negative reviews claiming discrimination, it is fair to say that the Florin JACL, alongside our supporters, now have an even clearer understanding about how Back Alley Bowling operates and that is the reason we still seek justice. There are no misperceptions. The Florin Manzanar Pilgrimage is a 10-year project of Florin JACL and CAIR-SV. Japanese Americans, American Muslims and others travel together to the Manzanar internment camp site to break down the ignorance, fears and suspicions that continue after the 9/11 terror attacks.